Miller has paid plenty of dues to get to the point where she feels she can write what she wants how she wants to, and sing without constraint. Still young, she has survived years in the music business. She impacted initially with the infectious, “You’re Not Alone.” More than 115,000 downloaded that single on Amazon. ABC’s Dancing with the Stars featured her second single, “6’2,” in 2014. 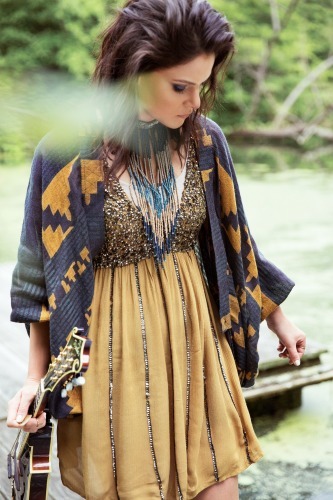 Marie Miller is a songwriter and Curb Records recording artist from the Blue Ridge Mountains in Virginia. She grew up on a small vineyard with her parents and nine siblings in an old house named Glenway. She spent most of her childhood reading old books, writing songs, or strumming her mandolin. She is now a grown woman and continues these same childhood past times when she is not traveling the world singing songs.